Gold has rebounded after a recent lackluster performance, but precious metals investors should be looking at silver. Silver has defied expectations early in 2017, showing not only signs of life, but also signs that it could be headed for higher prices. Silver is just below $17 per ounce. Some suggest that silver is not only slated to break through this level, but take another step forward. Projections for silver this year range from $15.50 to $18.75. The window between these predictions suggests that silver hasn’t made its move yet, as it’s hovering right in the middle. The US dollar index—perhaps the most accurate predictor of where precious metals prices are headed—is looking fragile at the moment, which suggests some upward room for silver. Silver is now in a key resistance zone. That means silver’s price may be on the verge of making a breakthrough to new heights—if it can get past the initial resistance. 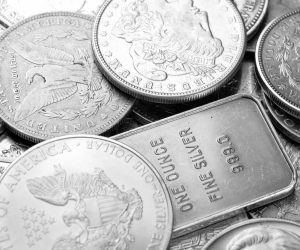 The gold price, the strength of the US dollar and confidence in the stock market all weigh heavily on the silver price. If it’s going to make a move to above $17 per ounce and get closer to those optimistic projections, there’s still plenty of time. The markets may be waiting right now. What happens under the new US presidential administration in terms of US economic policy will reflect investor confidence in equities and the strength of the greenback. If investors return to hedge investments, silver stands to benefit tremendously. But there’s a lot of time left in 2017 and, as 2016 showed us, anything can happen.